Opus provides vehicle-emission inspection in the U.S., including remote-sensing services measuring large volumes of vehicles as they drive past on the street. STOCKHOLM -- The Swedish vehicle inspector whose technology identified emissions discrepancies in Volkswagen diesel engines sees Donald Trump as an opportunity-in-waiting. While it’s generally “not a good situation for us” when a government is not pro-environment, any decision by the U.S. president to roll back fuel-consumption rules put in place by his predecessor Barack Obama means vehicle manufacturers can “sell gas guzzlers for much longer time periods than previously anticipated,” said Lothar Geilen, appointed to take the helm at Opus Group next month. 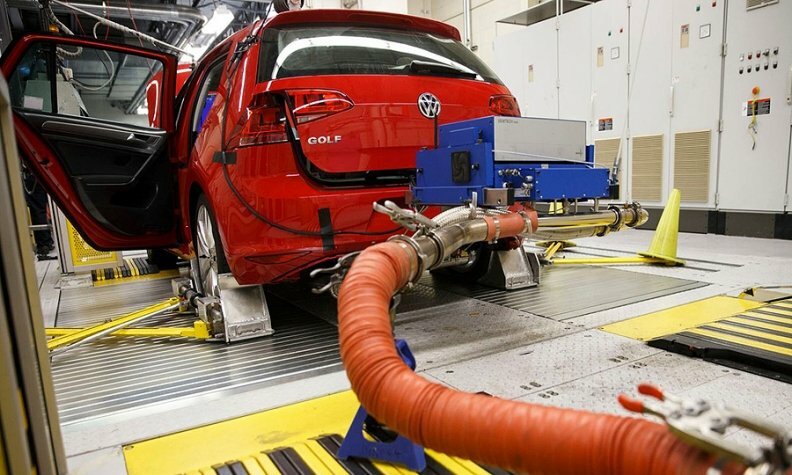 “The need for emissions-testing programs may actually increase as a result of that because it will mean there will be a higher polluting vehicle fleet over the next 10 years than originally planned,” the designated CEO said in a March 15 interview. Trump vowed on the same day to reinstate a review of fuel economy and vehicle emissions by spending another year scrutinizing rules that call for companies to cut gasoline consumption to an average of more than 50 miles per gallon by 2025. The move countervailed the Obama administration’s assertion that the standards were affordable and effective. When announcing the decision to a crowd of workers in Ypsilanti, Michigan, Trump told the CEOs of automakers including General Motors, Ford Motor Co. and Fiat Chrysler Automobiles that they needed to reciprocate by adding workers and building plants. Obama’s decision to preserve fuel economy rules “would have destroyed, or further destroyed, the auto industry,” he said at the time. Opus provides vehicle-emission inspection in the U.S., including remote-sensing services measuring large volumes of vehicles as they drive past on the street. Late in 2014, about a year before VW’s emissions-cheating scandal became public, Opus and a team of scientists discovered that readings for VW and Audi vehicles with two-liter diesel engines were much higher than they should be, according to Opus’s website. As one of the largest emission-testing companies in the U.S., Opus counts the country as one of its most important markets. The company has a market share of more than 40 percent in the government-contracted emission-testing business there, handling almost 25 million inspections a year. Opus competes with Japan’s Horiba Ltd., which makes auto emissions testing systems and played a key role in uncovering the VW scandal. Opus generated 64 percent of its revenue last year from the Vehicle Inspection International unit, which includes its U.S. operations. The rest came from the Vehicle Inspection Sweden segment. As part of a new five-year growth and expansion strategy, the company has plans to double sales to $400 million from $200 million from 2017 to 2021, and sees 46 percent of revenue coming from the U.S. by the end of that period.